Hello, my friends!! We are still enjoying every minute of our family reunion nestled in the lovely mountains of Colorado. In case you missed my guest post at The Scrap Shoppe on Thursday, here is the tutorial for the chalkboard menu I created. For a while now, I have been watching chalkboard menus pop up across blogging land. I have also been dying out to try out that chalkboard spray paint I bought months and months ago. So here was my chance!! This is my take on the idea--simple and sweet! I started off with this gold and slightly gaudy frame that I picked up at Good Will for just a couple of dollars. Score! But it definitely needed a new color. 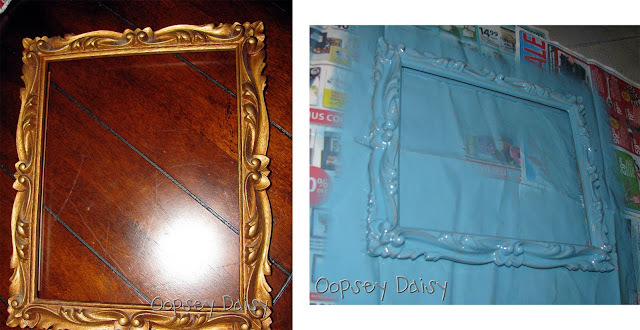 A splash of turquoise spray paint was just perfect! I love how the shininess of the gold still peeked through just a bit. I was actually amazed that applying chalkboard paint was so easy! I simply spray painted the glass that came inside the frame. 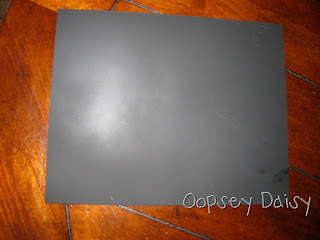 I quickly learned that, because it was glass, it would need 2-3 coats of chalkboard paint. Easy peasy! How have I not used chalkboard paint before?! 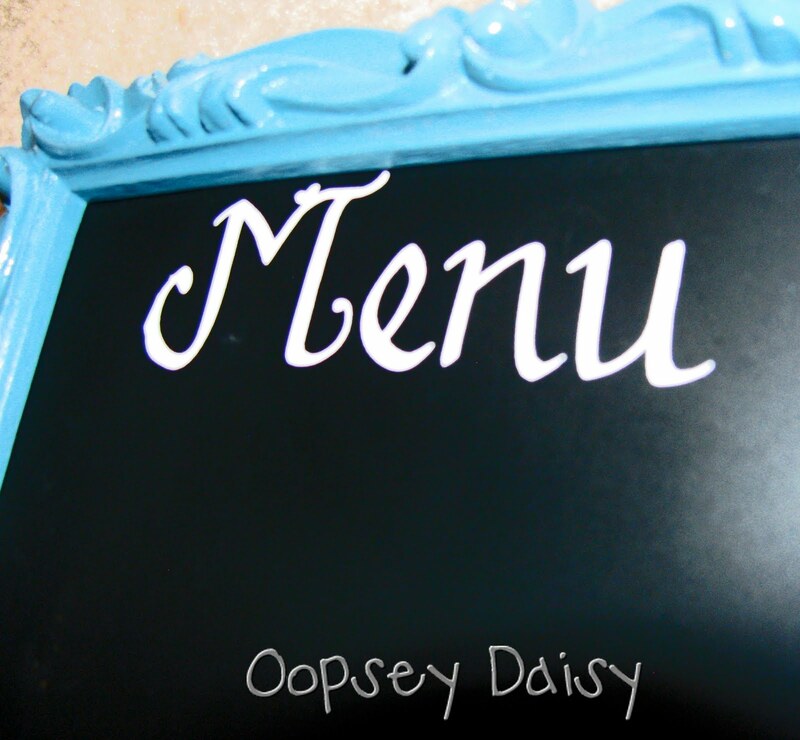 But my little chalkboard menu was looking a bit bare. 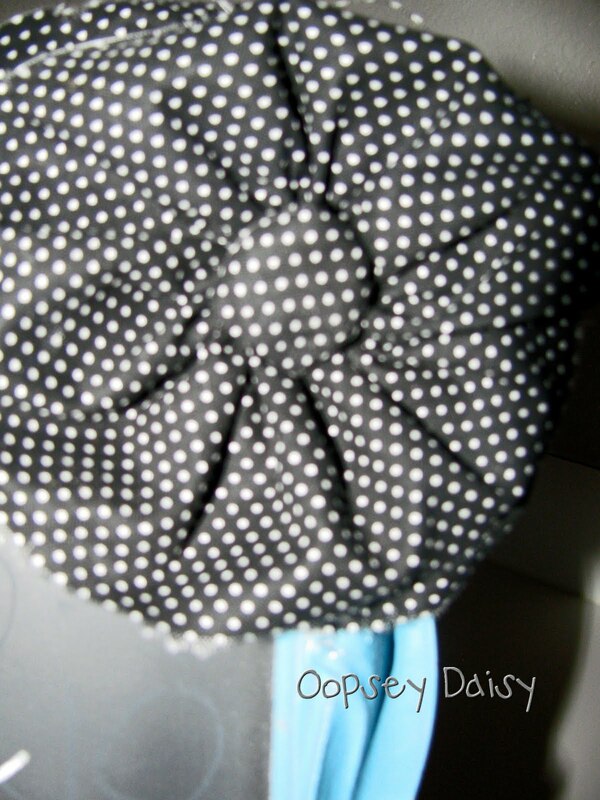 I knew exactly what it needed--a fabric flower! 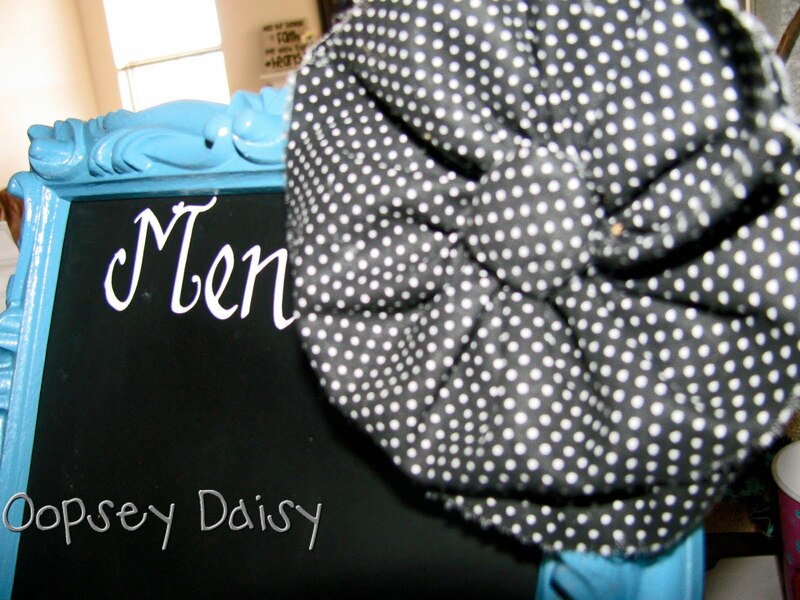 How about a fun tattered flower?! 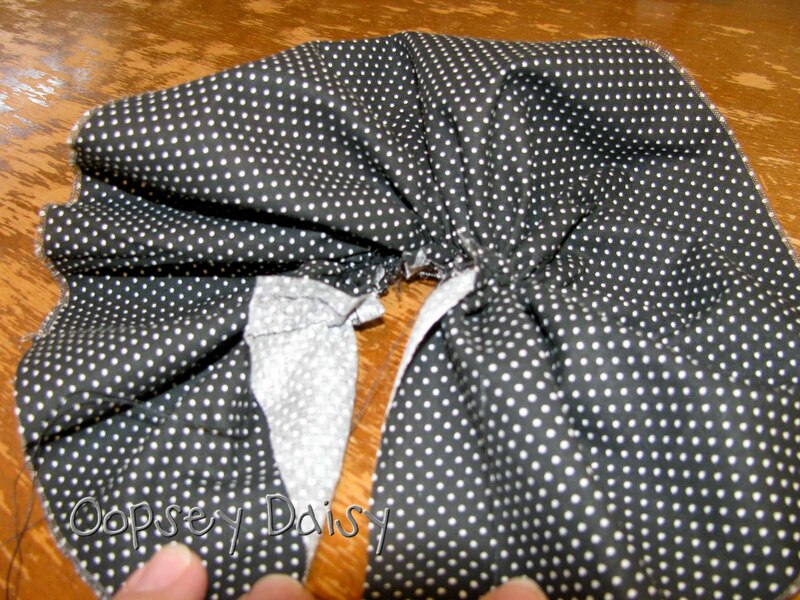 I just tore a strip of fabric and sewed a basting stitch down one of the sides. Then I gathered the flower by pulling one of my long threads to create a ruffle. I just twisted it into a circle to create the flower shape. 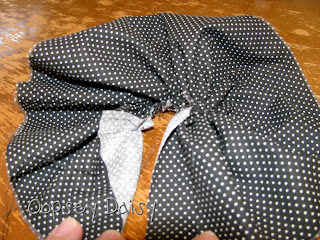 I quickly hand-sewed through the layers to help keep its shape. To create the center of the flower, I took a circle glass magnet I already had, covered it with fabric, and hot-glued it right into the center. I hot glued that happy flower snugly into the corner of the frame. Isn't that a nice touch?! 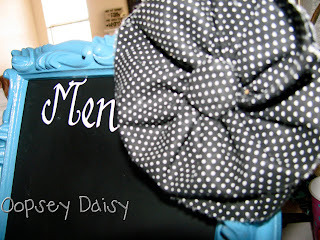 Black, white, and turquoise together.... yummmm! I set this chalkboard on an easel in the corner of the kitchen. Now my husband doesn't have to come home from work and ask, "What's for dinner?" Talk to the chalkboard, sweetheart! 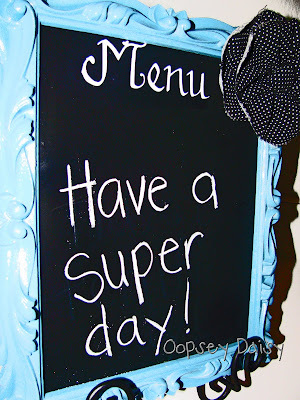 The chalkboard says it all... have a super day!! Super duper cute! I have to try this soon. I still love it! I'm on the lookout for a fun frame to make one for myself. Thanks so much again for guest posting! Hope you're having a fun reunion! LOVE this, Alison! That frame is amazing — what a find! It looks great with the blue and the flowers — great job! oh how i love chalk board anything!! This is so pretty… Now i want one in my kitchen!! So cute! 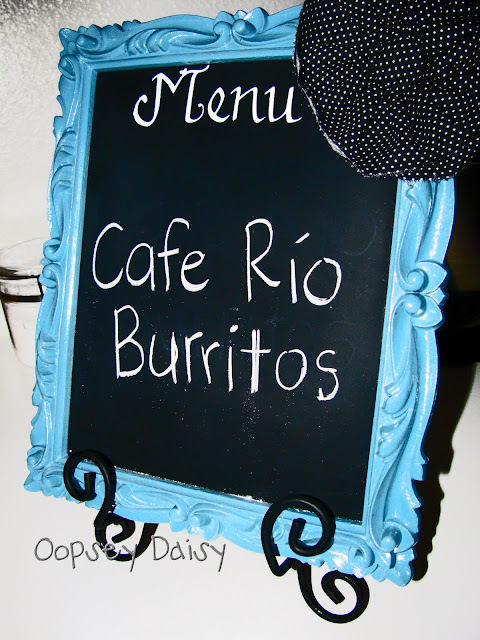 I want a Cafe Rio Burrito! Yum!! Love the blue color too! So cute! I am going to highlight this on my blog! Love the color! Very cute Alison! I love that color blue and the curves of the frame. Nice tutorial. Don't ya just love it? I am in love with chalkboard paint. SO much fun. But chalkboard dust? I hate the way it feels! worth it though, for the right project! Cute cute cute! Thanks for linking up to Topsy Turvy Tuesday's! Very cool! Love the blue. Visiting from Someday Crafts. Loving this find!!! They turquoise looks outstanding!! 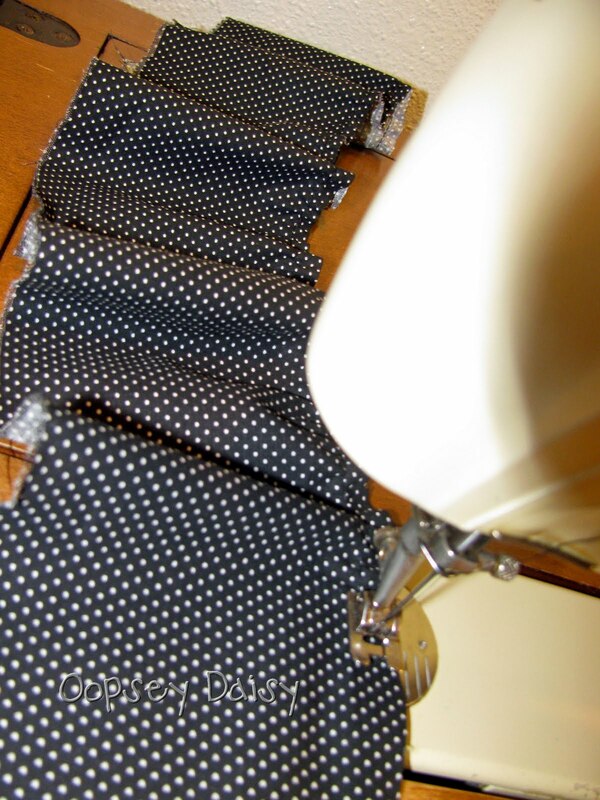 Thank you so much for linking your wonderful creation up at Frou Frou Decor today!! Have a great weekend! Hey, I haven't tried chalkboard paint either yet. I love this project! The flower is to-die-for! Great touch! Hope you'll stop by Sunday for Passion to Paint and link it up! Love the frame and colour! great transformation. 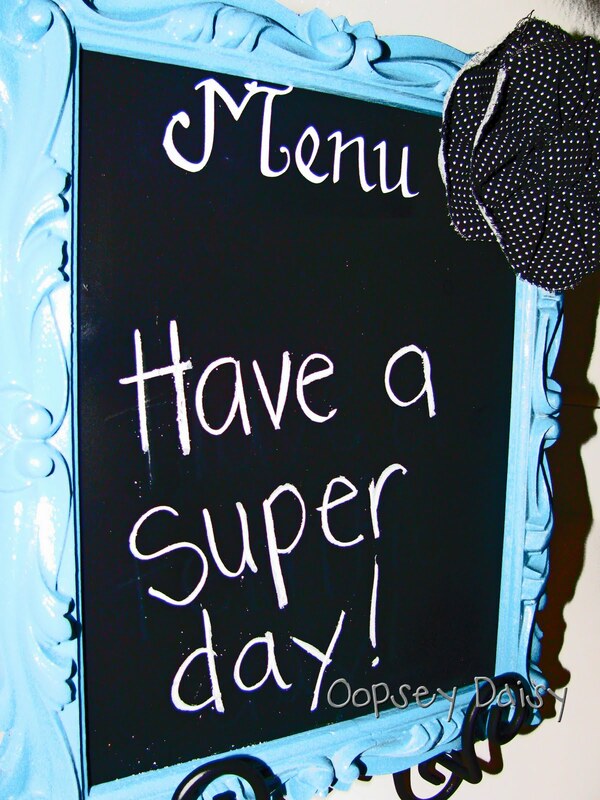 I love your menu board! I've been watching them pop-up in blogland as well and am waiting for my vinyl lettering to arrive so I can get started!! I adore the flower…I can think of one little girl in this house that would love to have some of those in her bedroom! Thanks for sharing! Oh my sweet goodness. That is so cute! !